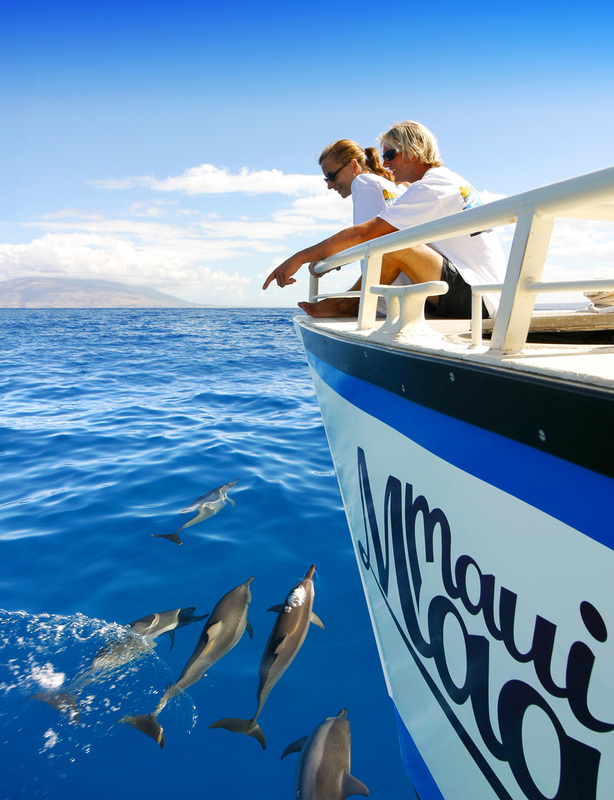 A magical Maui experience awaits you on the MAUI MAGIC! Discover the best Adventure Snorkeling on Maui and see dolphins and turtles in the wild! This state-of-the-art, high-tech boat, designed for speed and comfort, is Coast Guard certified to take you where no other boat can. Visit Dolphin Cove, Molokini, La Perouse Bay, the Kanaio Coast, Olowalu, or the beautiful Coral Gardens, or let your captain choose the best snorkel site of the day. It is a new adventure every single time! Hawaiian narration and great music paired with a continental breakfast, BBQ lunch and awesome snorkeling.